Marina Kremik is located not far from famous touristic town Primošten, almost in the center of Adriatic Sea and it is open for sailors from 1983. Marina Kremik is one of best protected marinas on Croatian coast. The location is central of the Croatian coast and perfect to sail either north or south. Own your dream yacht and enjoy sailing with no worries and earn some money! 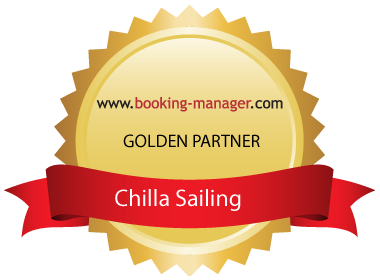 Chilla Yachting has many years of experience in managing yachts throughout Croatia. Let us create the management program that fits to your needs. Depending on your wishes we create the ultimate event suitable for everyone. We arrange with all reservations in restaurants, provision, wine taste, food taste or any other activities you may require to make this event successful and a memory for lifetime. We have long experience and know Croatia from inside and out. Our sailing instructors are professional sailors and teach everything about sailing, navigation, safety and knots. We make the program together depending on how many you are and what level and experience the group has from new beginner and history of experience. The sailing school is carried out in low season. Seize the opportunity to own comfortable sailing yacht! Jeanneau 53 and Dufour 410 Grand Large for sale. Impeccable maintenance and refits kept those very well equiped yachts in excellent condition.